Unlike driveways, decks and patios do not endure the dirt and grime that accumulate from vehicles. 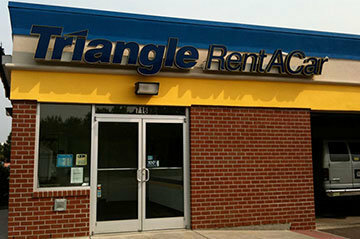 However, these surfaces are subject to an abundance of foot traffic. Plus, they accumulate deeply-rooted dirt, dust, grime, and stains just from being exposed to nature and year-round weather. 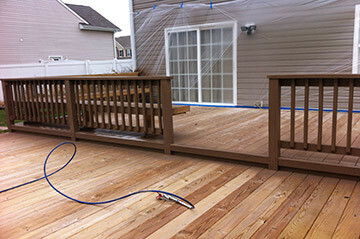 At Tidewater Painting, we specialize in low-pressure cleaning patios and decks as well as refinishing them. There are various materials from which different decks and patios are crafted. These materials include wood, concrete, and more. Before we get to work pressure washing your deck or patio, we pay close attention to the material from which it is built in order to ensure the safest and most efficient cleaning. For instance, if your deck is composed of a softer wood, then the pressure needs to start low with a high agitation to avoid damage. We have washed thousands of decks and know what to look for. 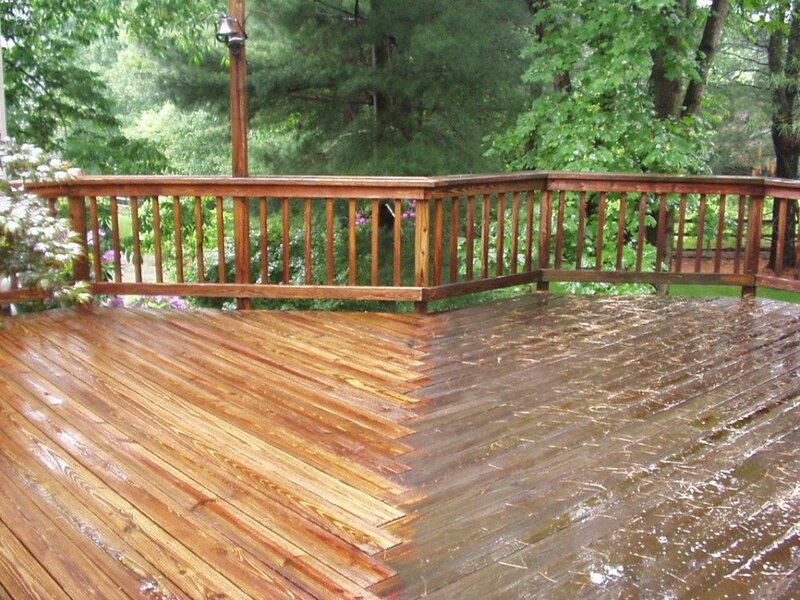 Pressure washing cleans the surface of your deck and patio quickly and efficiently to ensure a long-lasting, pristine finish. When you hire our team at Tidewater Painting to pressure wash your patio or deck, we guarantee hassle-free, maximum cleaning efficiency at an affordable price. 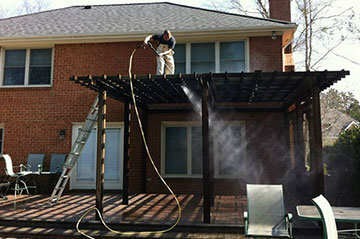 There are many different cleaning techniques under the umbrella of pressure washing….